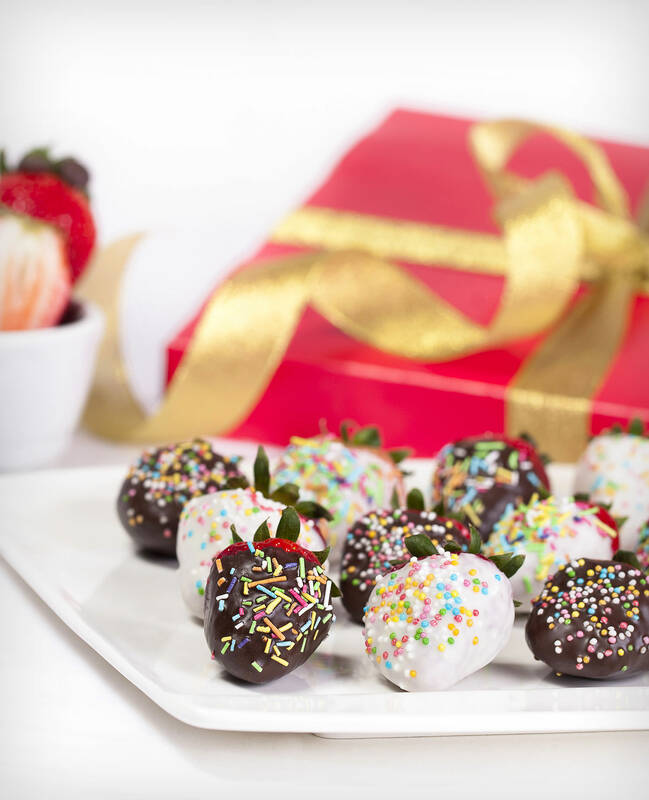 Colorful Strawberries is original fruit and chocolate boxes made ​​with fresh strawberries and quality chocolate with colorful sprinkles. 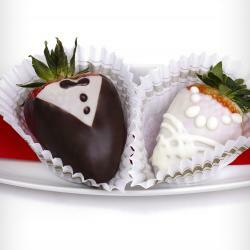 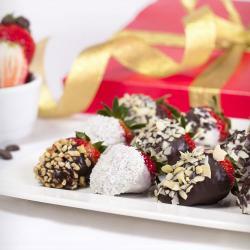 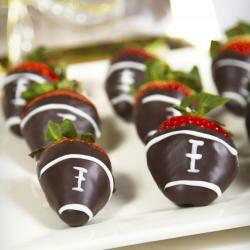 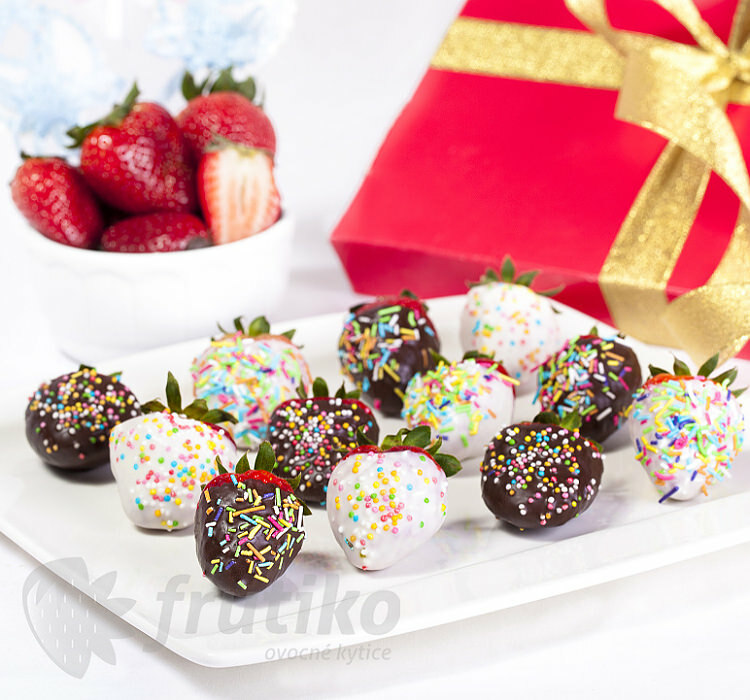 This sweet box of colorful strawberries in chocolate delight all children. 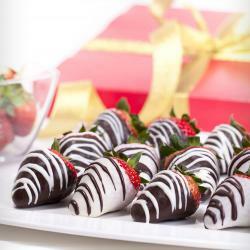 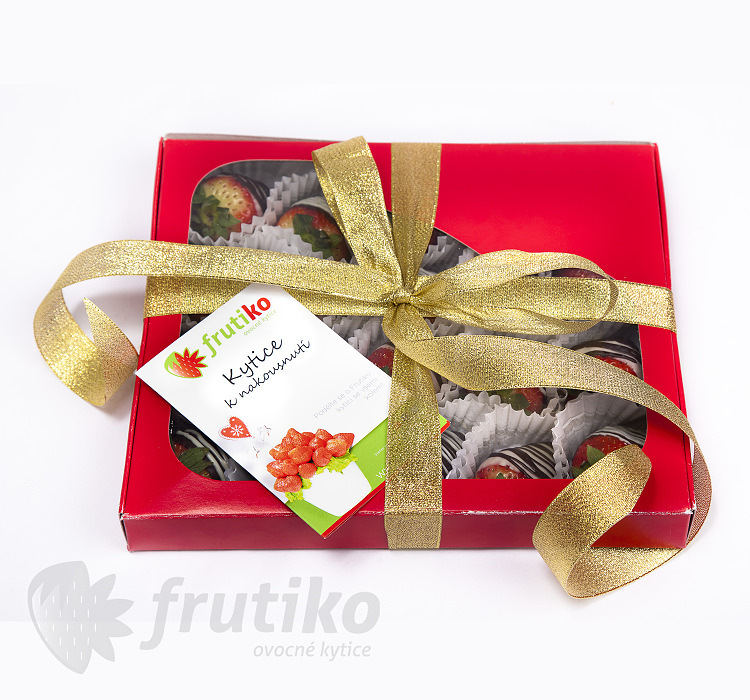 Fresh sweet strawberries dipped in chocolate with colorful sprinkles,it is a healthy original gift not only for kids.Standard boxes contains 15 pieces of fruit in chocolate, Big boxes contains 20 pieces of strawberries in chocolate. 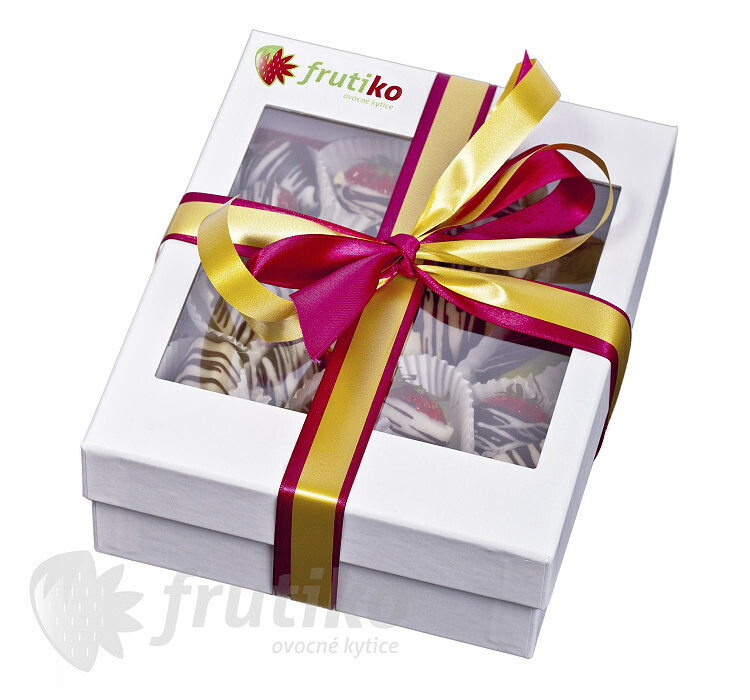 If you want to say thank you to your colleagues or if you are sorry to make your love ones sad and You don'y know how to fix it this colorful strawberry box or any choco-fruit boxes will work great and make people happy.